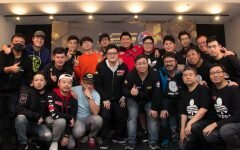 The first starting day of the WPT Vietnam – Main Event – came and went with 117 unique players pouring in at Pro Poker Club for an early start at the races. Of that number, 19 re-entered for 136 entries total. 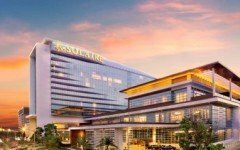 While there were many countries represented, a large contingent of Indian players could not be missed which included the attendance of defending champion Dhaval Mudgal and WPT India defending champion Nikunj Jhunjhunwala. However by the end of the scheduled 14 rounds, instead of the two Indian champions making waves, a different set of Indians were the day’s star performers. 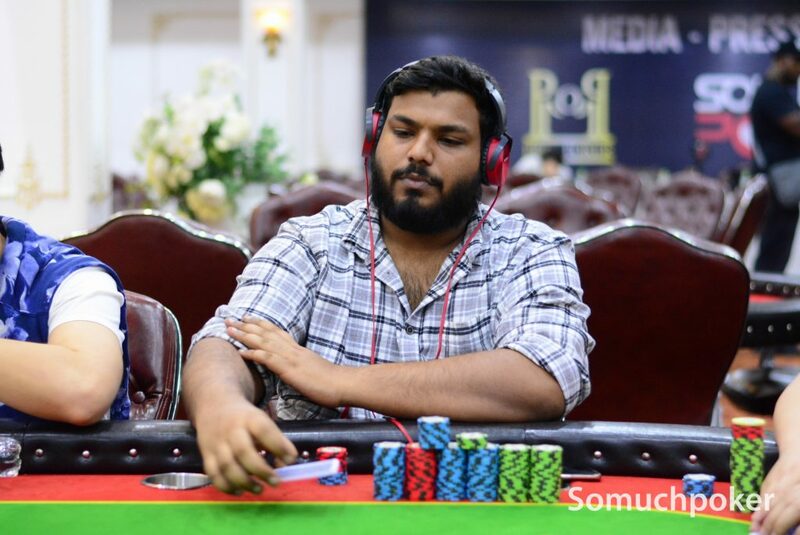 Closing Day 1A as the chip leader was Yasheel Doddanavar with 333,000 trailed closely by Eka Vedantham with 323,500. 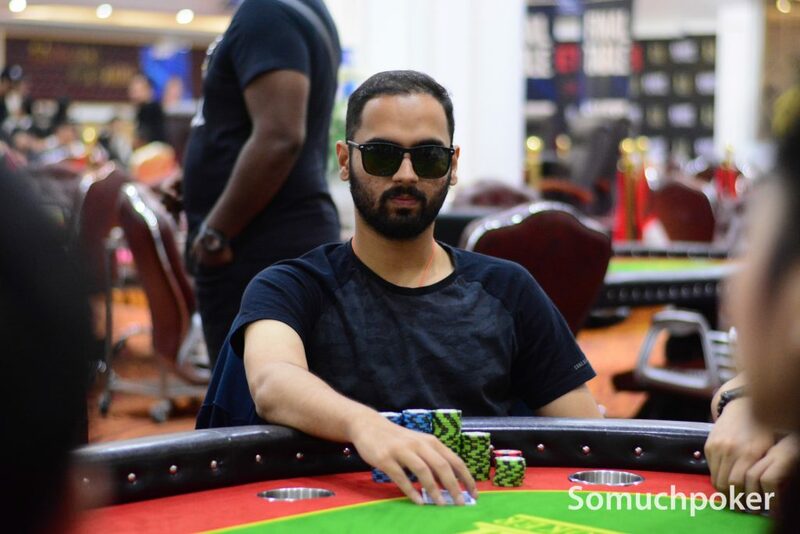 Unfortunately, we weren’t able to track Doddanavar’s rise to the top however we did catch the action that helped send the second chip leader Vedantham right alongside. 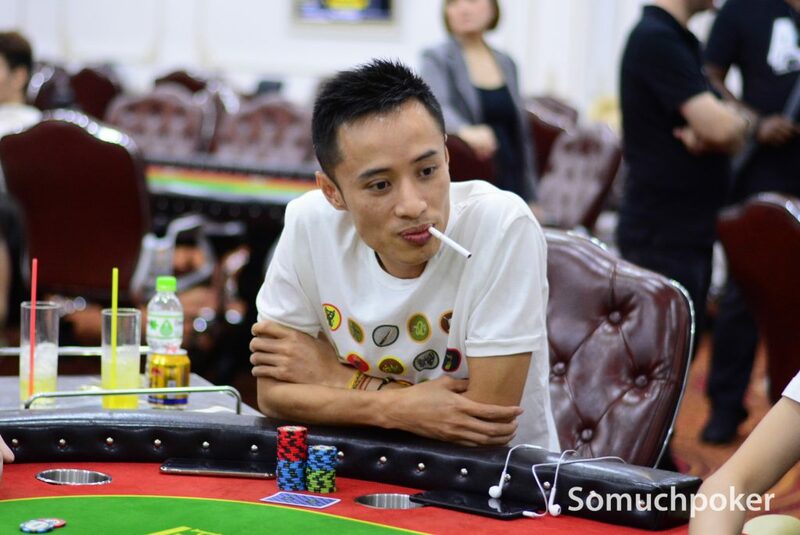 During Level 12, Vedantham delivered a double knockout, railing a short-stacked player with and above average stacked Xiao Yin He with . Vedantham held that improved on the board . Also making it through were a couple of highly decorated local pros Quang Nguyen (181,000) and Linh Tran (135,000). 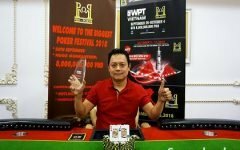 The lone player from the Philippines, Richard Marquez, represented his country well with 181,000 bagged. 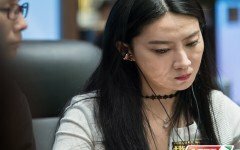 Other big names were Jack Salter (78,500), Louis Salter (38,000), Alan Lau King Lun (114,000), Natalie Teh (86,500), Hung Sheng Lin (150,000), and Kilian Loeffler (150,600). Jhunjhunwala also advanced after doubling up on the last hand of the day. As for Mudgal, he will have to secure his spot on the next starting day. All of the day’s survivors will have a two-day break before returning on Friday, March 22 for Day 2 at 12pm. Prior to that, Day 1B gets underway tomorrow, Wednesday March 20 followed by Day 1C on Thursday, March 21. 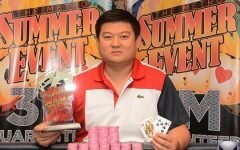 Buy-in is VND 25 Million (US$1070). Cards in the air at 1pm. From our observation, by the looks of today’s numbers, there is a very strong chance that not only will the VND 8 Billion (US$344,800) guarantee be dusted but last year’s 679 attendance will be surpassed. Somuchpoker will continue to be onsite throughout the festival. Main Event live updates will run daily. You can read up on the Day 1A action via the link below.